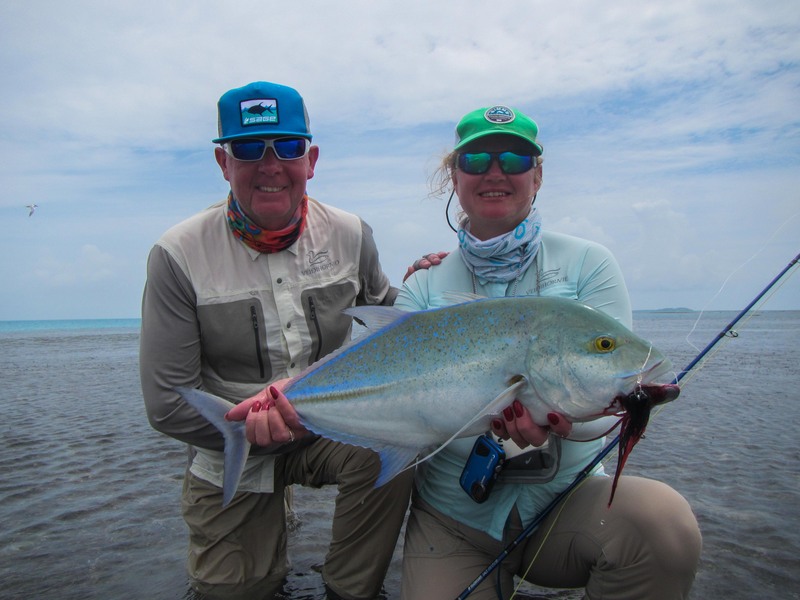 This week saw some of the worst weather we have seen throughout the season but despite a few setbacks, there were some great results from both the flats and bluewater expeditions with everyone persevering in spite of tough conditions. 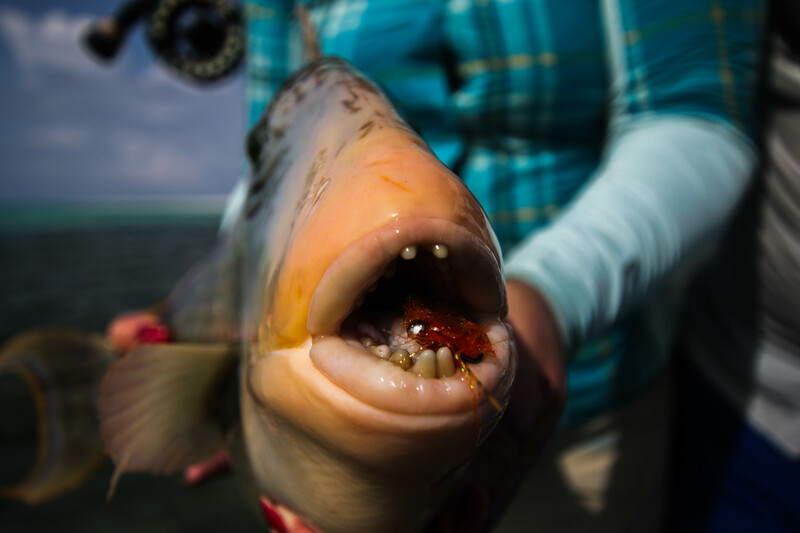 The team of anglers mostly comprised of returning guests and avid saltwater fly fishermen looking to target the more challenging and elusive species the flats have to offer. The tidal movement remained very much constant for the majority of the week, which was a slight anomaly to the usual progression of the water movement as the spring tide hung around longer than expected. 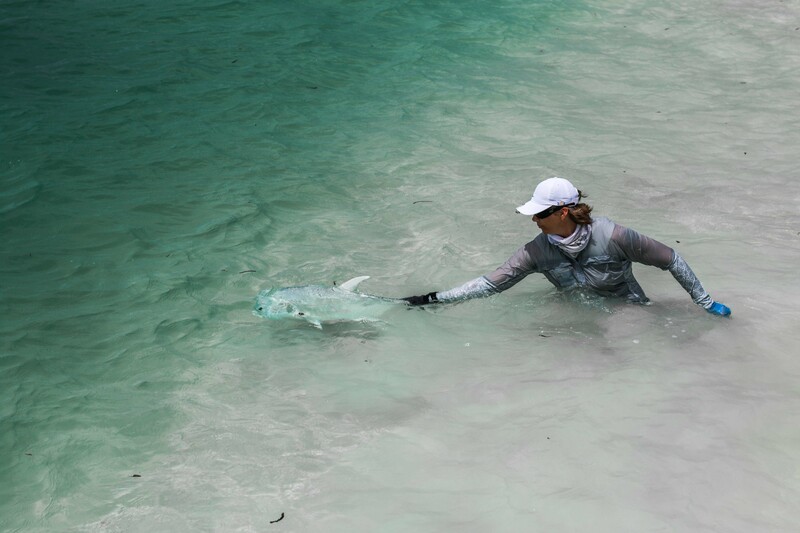 The early morning high tide resulted in pristine water quality, giving anglers fantastic opportunities to bend the rod and get their fill of Bonefish as they dropped down the flats during the first few hours of the day. 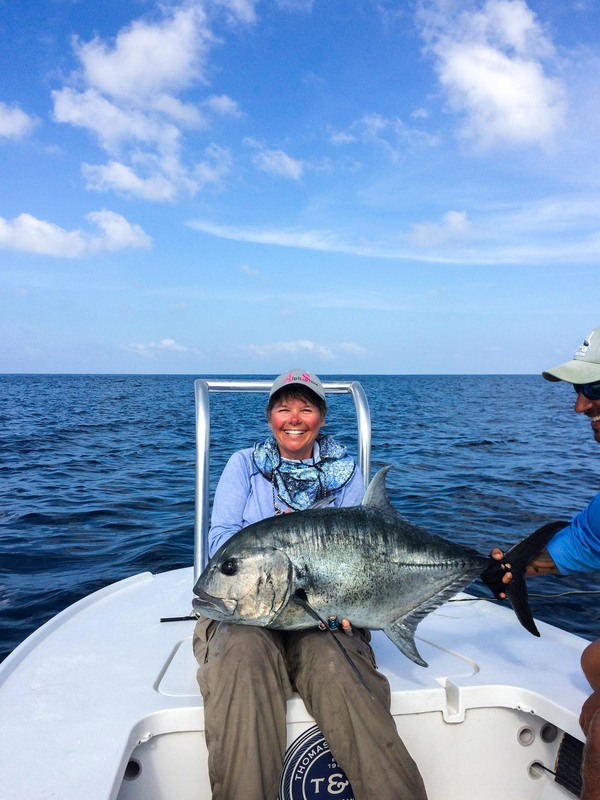 The tidal conditions also allowed for some great permit fishing on the high tide with many sightings and good opportunities created but sadly none coming to hand. 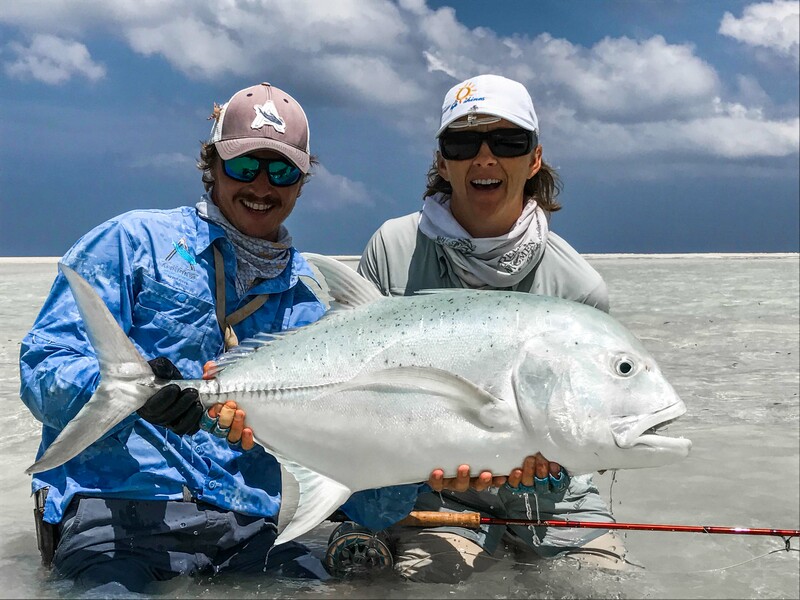 Despite the large disparity between the high and low tide, the current over the finger flats inside the lagoon remained reasonably mild which permitted the anglers to fish the coral flats for Triggers and GTs. 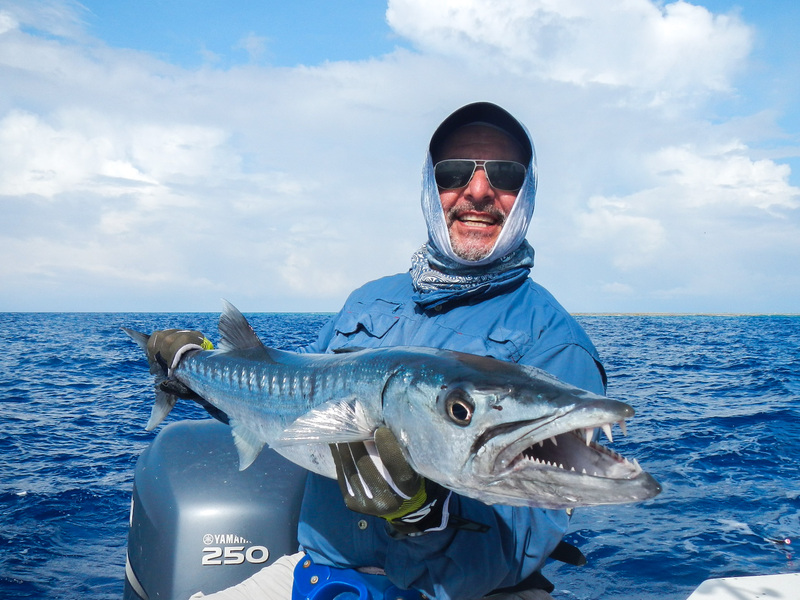 Milkfish are never easy adversaries and this week a great deal of effort was put in by many anglers to try and hook one of these fish. 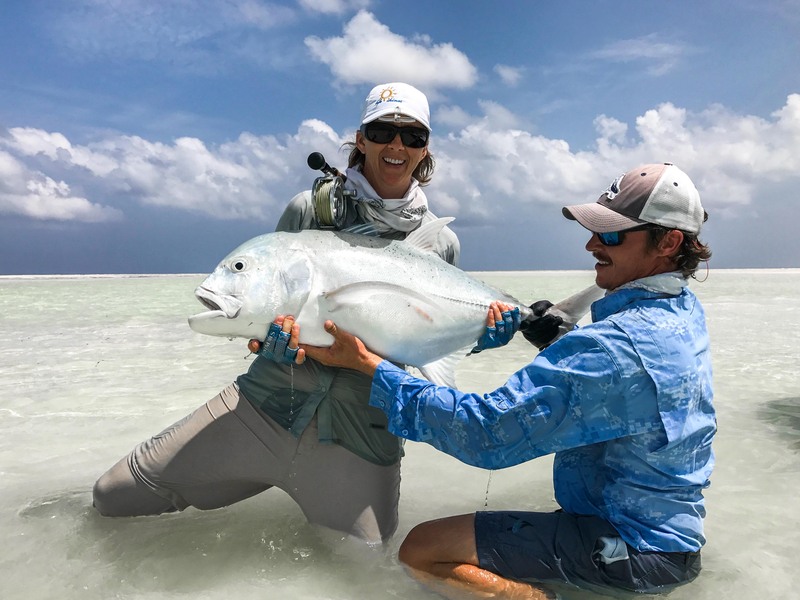 However, Richard L was fortunate enough to fool and land a stunning juvenile Milkfish on the white sand in shin deep water, an experience that is truly hard to forget. 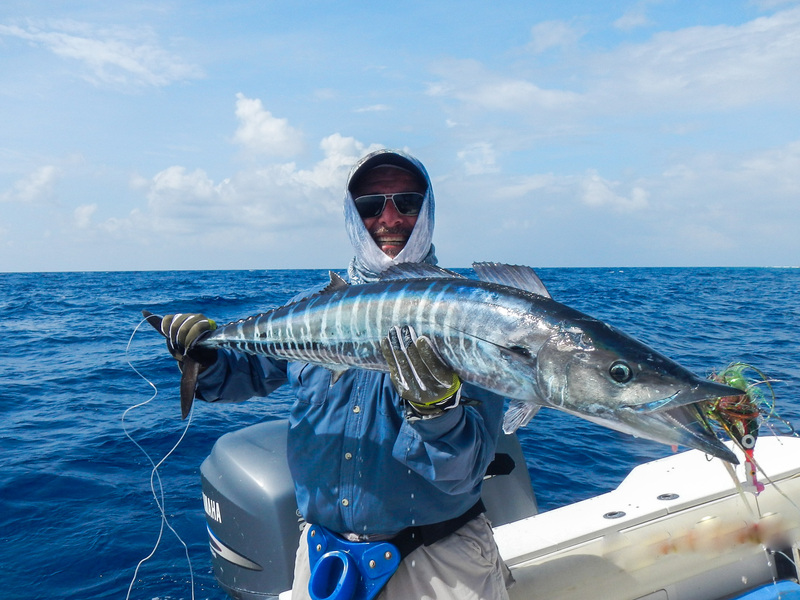 Patty M, who was joining us for the second week, topped off last week’s Permit by not only landing a one-meter Barracuda with no wire trace but also an 80cm GT a few casts later right at the close of the day. 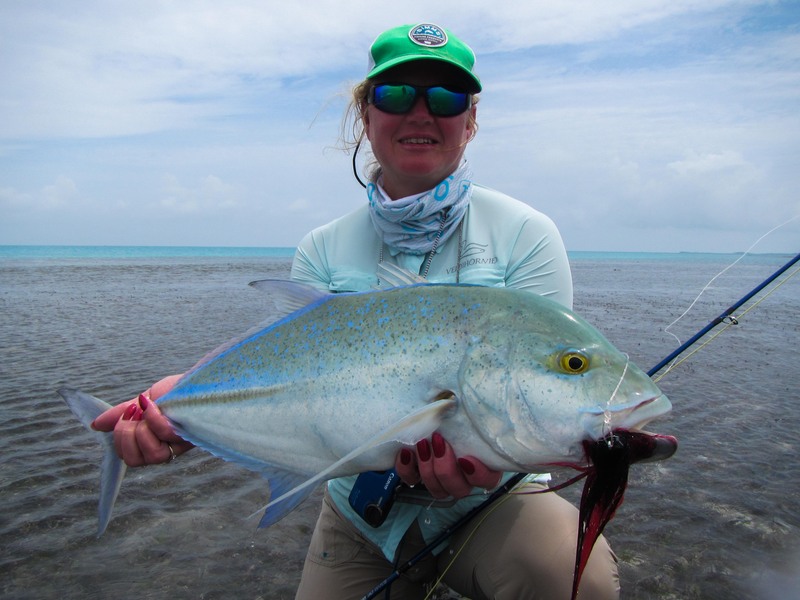 Also to join the GT club was Kajsa L who worked incredibly hard for two weeks on trying to land her first ever GT. 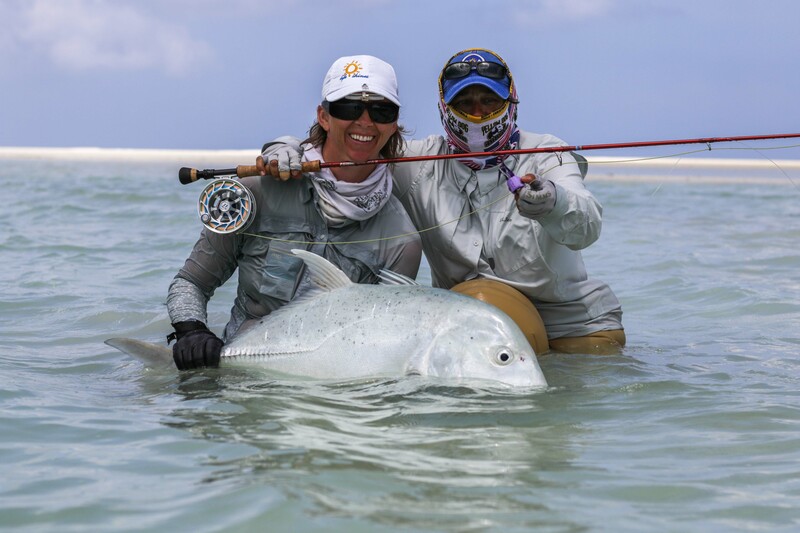 After many close calls and a great deal of perseverance, Kajsa landed a brute 102cm GT on a popper, a truly amazing achievement. 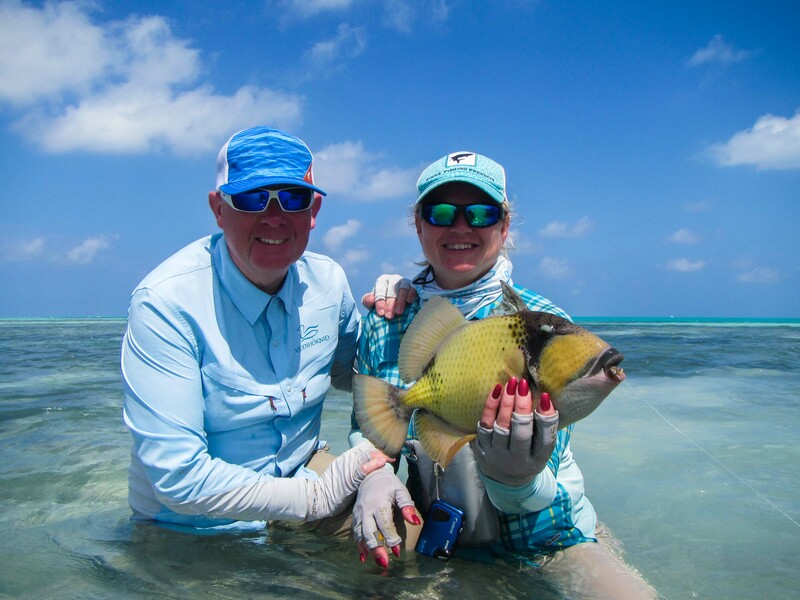 The Triggerfish were around on the finger flats in good numbers but they were being characteristically frustrating to land. 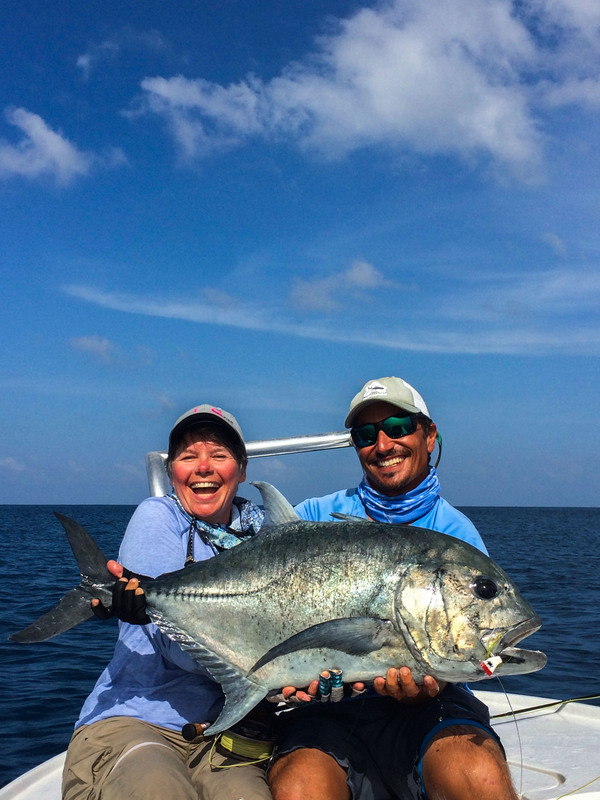 Olafur and Maria V led the way and managed to land two Moustache and two Yellowmargin Triggerfish between them. 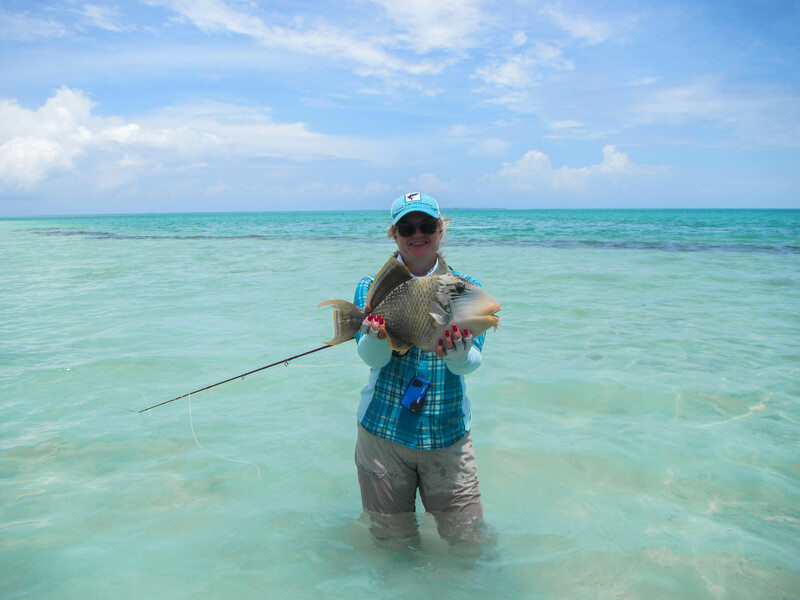 Also getting in on the action was Alex F with his first ever Moustache Triggerfish. 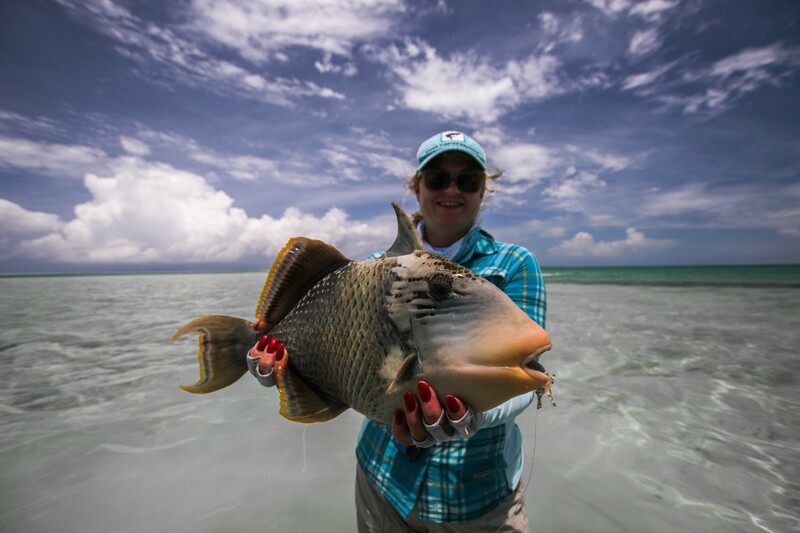 Despite the team channeling most of their efforts on other species, a special mention must go out to Nancy T who managed to land 20+ Bonefish in under two hours thusly becoming a member of the prestigious 20+ Bonefish Club. 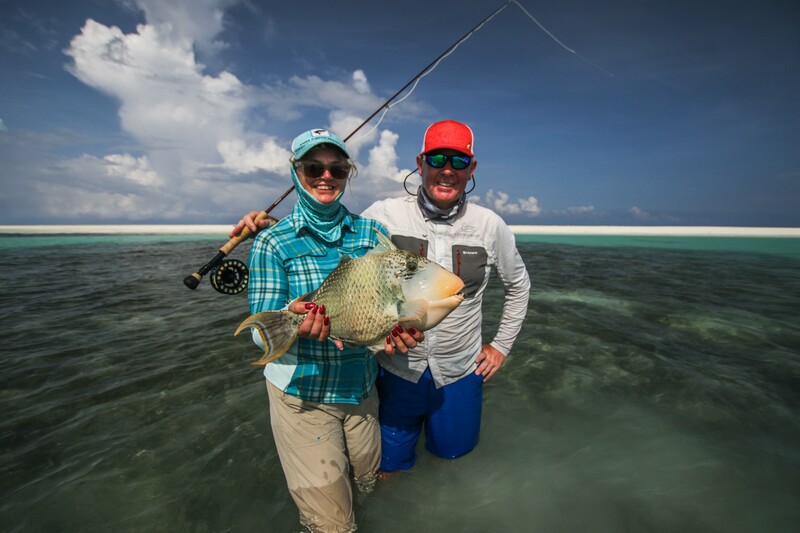 There was a great deal of life on the western side of St Francois with some fantastic water conditions on the outside making for some great action on the bluewater boat. 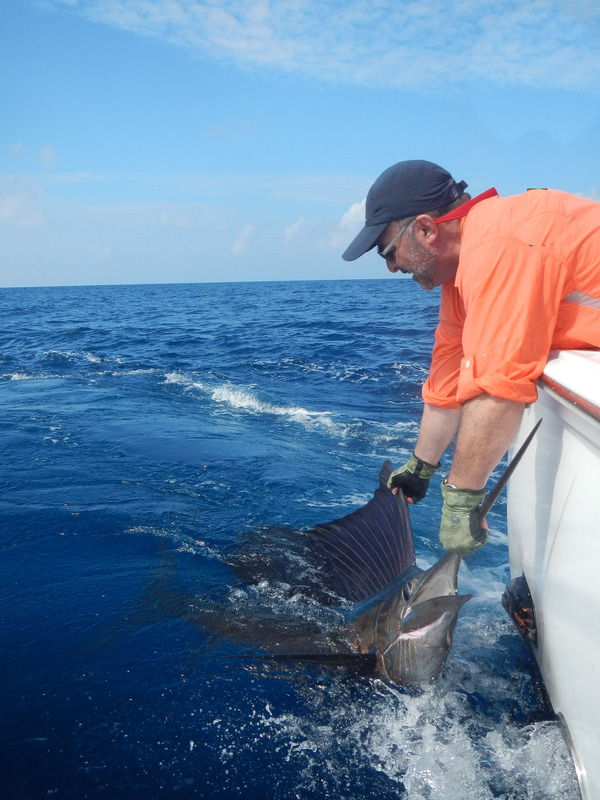 Ali Z did not hesitate to capitalize on this by landing a plethora of species most notably a nice GT and a Sailfish on fly.